The maps include tiled, dynamic and feature layers, and integrate charts from Google Charts and HighCharts. Innovating map clustering uses a modified version of Esri's clustering scripts. 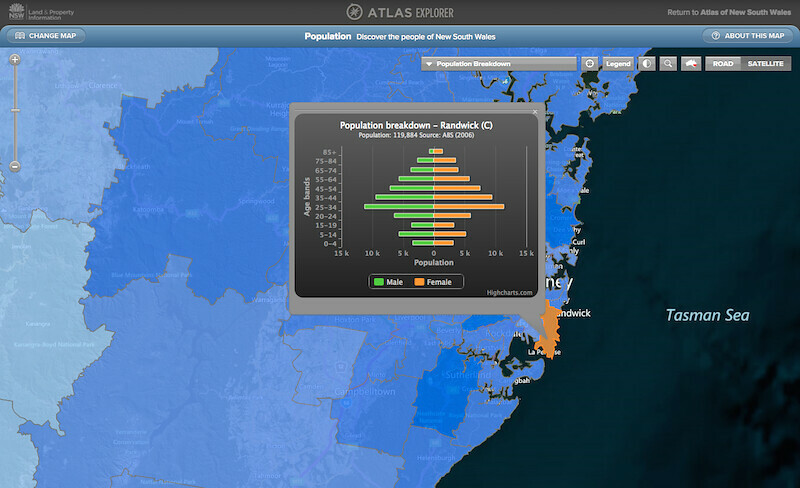 Atlas of NSW has received many accolades within the GIS community, and has been featured at the Esri Developer conference, Ozri and Spatial@Gov.